Have you signed up for our newsletter yet?! If you answered “No” then you are missing out! Don’t worry, it is not too late to get in on the fun! Every month we send out about 3 emails to our supporters with new work, updates, specials, events and more! Starting March 1st, 2017 we will be launching a monthly giveaway to our newsletter members. 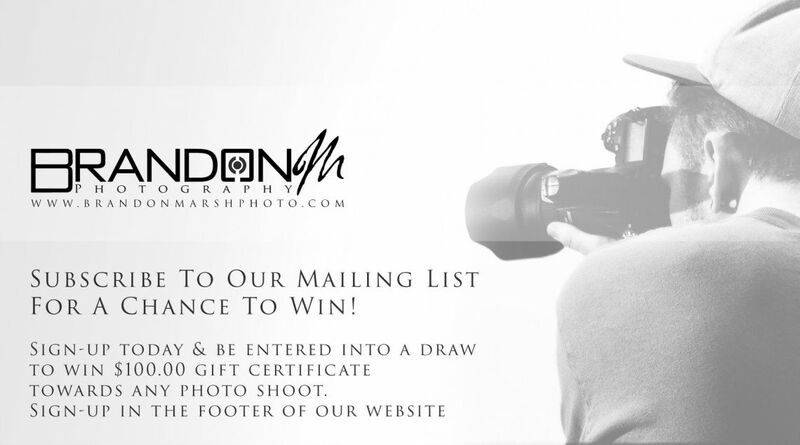 Sign-up for your chance to win a $100.00 Gift Certificate towards any photography service we offer. After you sign up to our list, you will be automatically entered into the draw every month. Who knows, we could be feeling even more generous in one of the upcoming months and we would hate for you to miss out on it! So don’t wait, sign-up at the bottom of this page for your chance to win! Our first contest winner will be announced on April 1st. Once the first round is complete, we will continue to contact the winner on the 1st of every month.